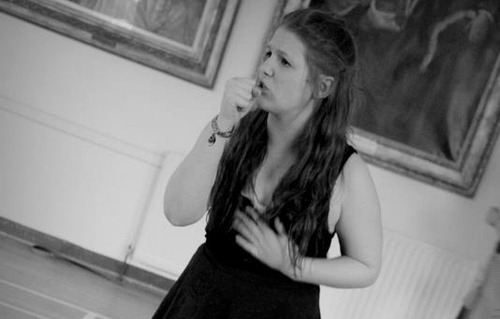 Kicking off our cast interviews, meet the lovely Emma Harding aged 17 playing Martha Bessel. No, this is my third. I was also in ‘Return to the Forbidden Planet’ and ‘Little Shop of Horrors’. Yeah, I had seen it performed a couple of times. The Music! I would listen to half the soundtrack if it wasn’t part of a show. Totally Fucked, because I think it’s just as fun to watch as it is to perform. A leaf costume… made out of leaves. Because everyone is super talented and this is the most excited I have ever been about a show ever, so you should be excited to.